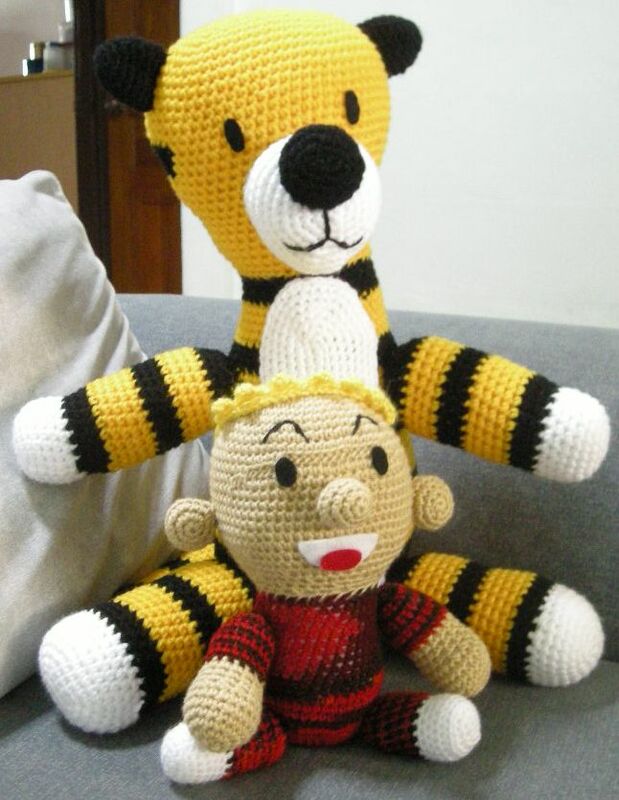 With a successful sale on Hobbes, I started to venture into making Calvin. This was the first time I’m making a human figurine. It took me some time to think of how to start with it. I have never attended any design class before. Being engineering trained during my territory school days; I have always thought that my left brain, logical mind is more well developed as compares to my right brain. I recalled I failed my arts most of the time during my school days and I believed I do not have any imagination cell in my brain. I have never design a single thing out in my life although I was a good copier. I was able to stitch out exactly any cross stitch picture, crocheting other people’s product but never create a good artwork before. 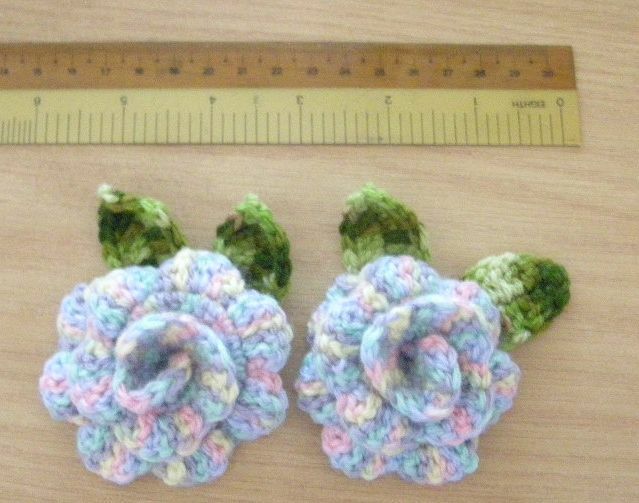 It was the first time in my life that I wanted to do more on creating something out using my crocheting skill. I hope that my interest will sustain for a long time then. 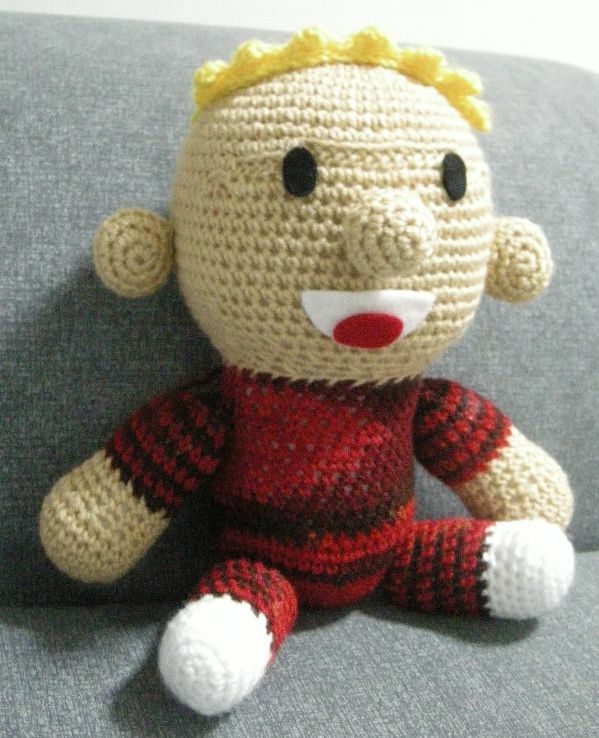 It was Chinese New Year for the month of February 2010, I decided to make a new dress for my monkey doll. 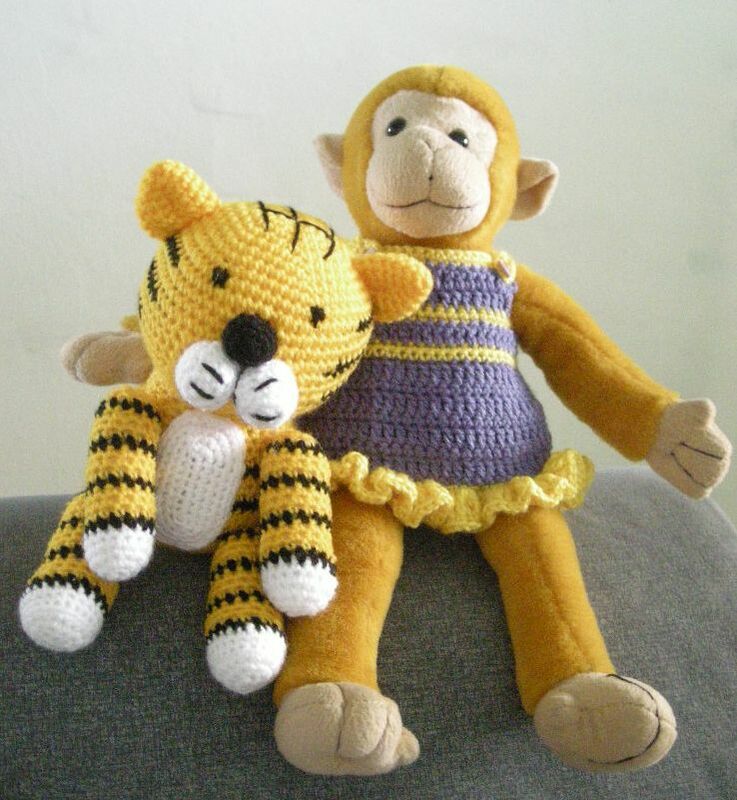 Together with my Chinese tiger doll, they made a great pair! 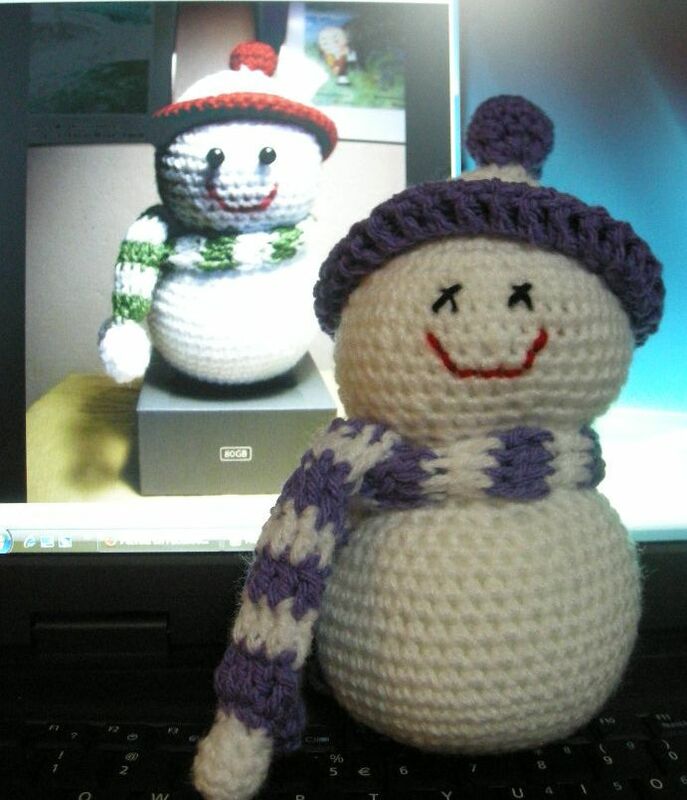 I began to miss my first snowman crocheting doll, I wonder how it was treated by its new master. Did it get squeezed all the time? I miss it so much that I decided to make my second snowman with purple scarf and hat. Now it still stayed with me in my office table, accompany with my Angel doll of knowledge (will be reveal in my coming post). So much for my work in February 2010. Lots of work indeed and I like being busily crocheting!